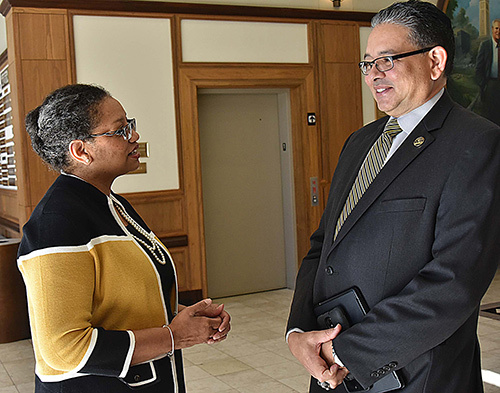 Grambling State University President Rick Gallot knew he wanted a student affairs vice president for student affairs focused on students, someone with experience, someone with a passion for young people. In the end, the search committee chose David “Rusty” Ponton, 53, who has been interim vice president since 2015 and who has been a GSU fixture since he arrived on campus in 1988. Ponton fills the job on a permanent basis effective July 1. Ponton and his office are responsible for students’ non-academic activities, needs and opportunities to ensure that they receive a quality education and have a quality campus experience during their matriculation. Among other areas, student affairs includes responsibilities for the Student Government Association, Favrot Student Union, the Foster Johnson Health Center, the Orchesis Dance Company, the cheer squad, the intramural center and intramural activities, Office of Student Conduct, a variety of campus ministries, student clubs and organizations, a comprehensive counseling center, campus police and student housing. Ponton, who graduated from Southern University with a mechanical engineering technology degree, earned a doctorate at Grambling State. 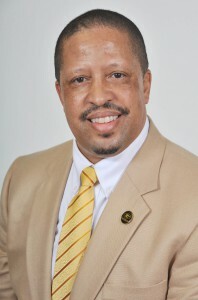 He worked as a process engineer for Owens Corning Fiberglas in Kansas City, Kansas and in retail marketing for Shell Oil in Houston and Dallas before starting at GSU as an assistant men’s basketball coach in 1988 and went on to become the head women’s basketball coach at GSU before working his way up in student affairs, from director of the Favrot Student Union, dean of student activities, dean of students, associate vice president of student affairs and interim vice president of student affairs. Rick Gallot is the president of Grambling State University. He is a great president, and he loves his job. “I love it,” he said. 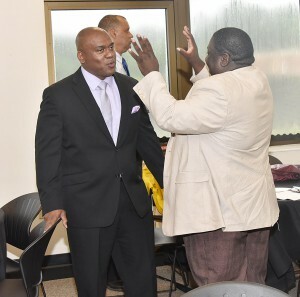 Gallot, originally of Grambling, looks for good leaders who are interested in building a team to get the job done. He is not afraid to speak up and let people know that he has been a good president since he started August 1, 2016. As a part of The Provost Leadership Camp at GSU, I spent time with Will Sutton, director of communications, and I met the president, a dean and several university leaders during a day of shadowing. We are learning about leadership and how leaders can help and not hurt people, that some people are very helpful and some are not. We are learning that leadership is when someone cares about what they are doing and caring about the people who work with them. 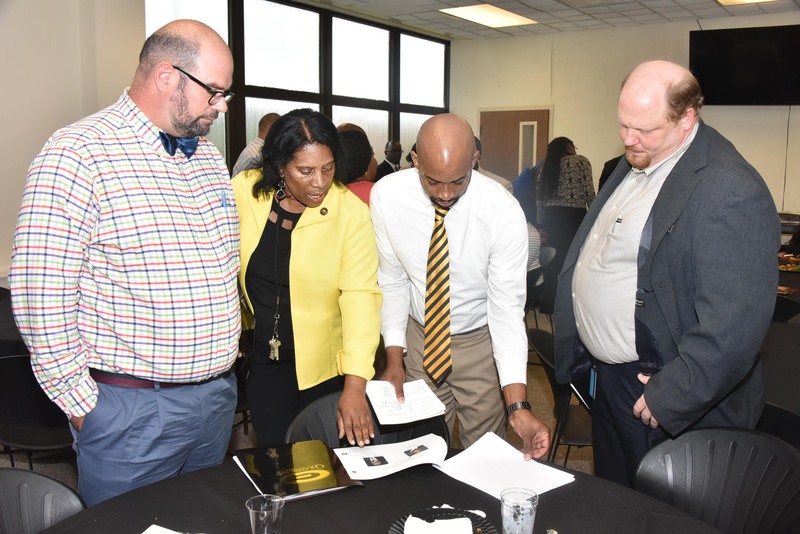 We are working with Dr. Ellen Smiley, Mr. Jason Knight, Dr. Rory Bedford, Mr. Prentiss Smiley and Ms. Shadavalyn Hackney in the Office of Service Learning and Continuing Education. The sponsor of the program is the Earl Lester Cole Honors College. Each of us has a leadership mentor. GSU Business College interim dean Donald White is being shadowed by Tayton Webster, 8, of Grambling, Louisiana; business school professor Kevin Sly is being followed by Leah McDowell, 11, of Rayne, Louisiana; Title III Executive Director Beverly Hill-Hercules is mentoring Ryan Washington, 10, of Rayne, Louisiana; Chief Operating Officer Martin Lemelle has Demetria McCone, 12, of Arcadia, Louisiana, as a mentee; Distance Learning Director Eldrie Hamilton has Darian Savoy, 11, of Rayne, Louisiana, as a shadow. Smiley said she started this year’s leadership camp because her son, Prentiss, a senior at the university, attended a similar GSU program when he was young and it inspired him to be an entrepreneur. She has not forgotten about others and she wants other kids to find leadership, passion and dreams. The program has been very inspiring and I want to go to Grambling State when I grow up. Swanson, 10, of Rayne, Louisiana, is a rising sixth grader at Armstrong Middle School. 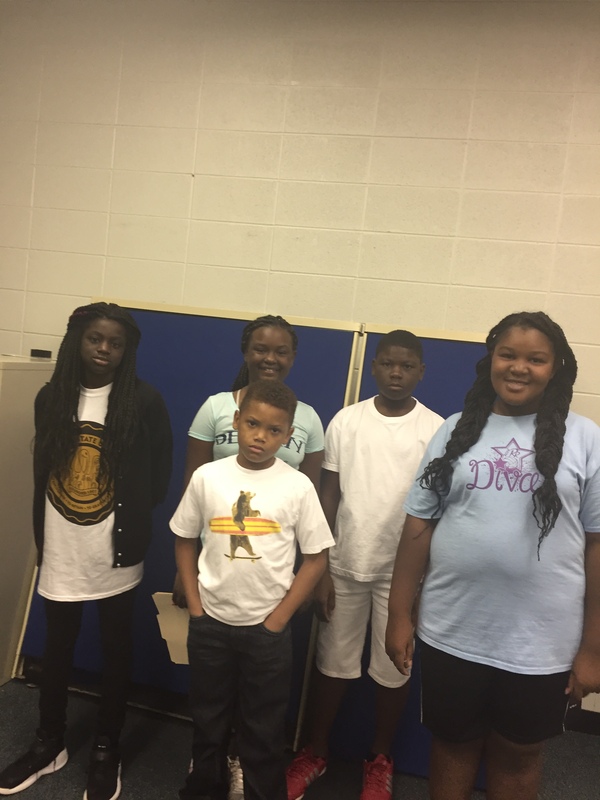 He plans to take enrichment classes and become a member of the 4-H Club. He would like to be an artist so he can draw and paint when he grows up. 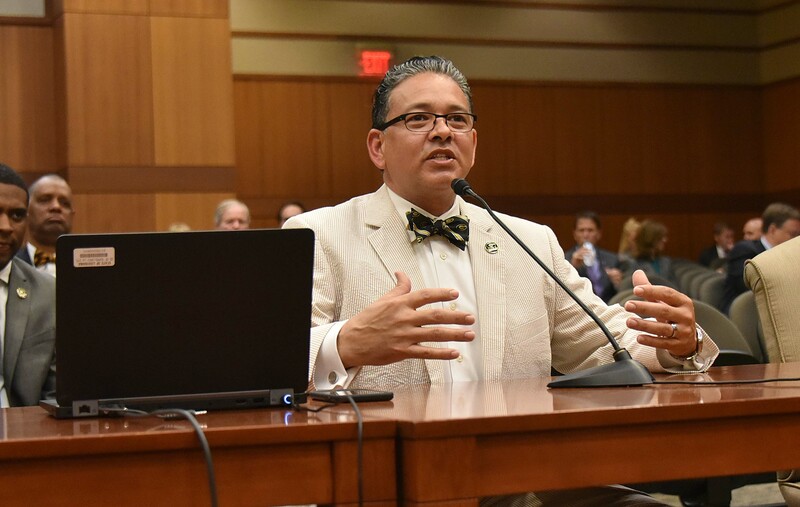 Grambling State University President Rick Gallot has decided to opt out of the state legislature-approved fee increase authorizations, saying GSU students should not bear additional financial responsibility for their education. Gallot said he has confidence that the university’s alumni, business and corporate friends and stakeholders will continue to contribute to the institution so the institution can keep student fees reasonable as a part of encouraging more students to stay in school while attracting more students to choose GSU. 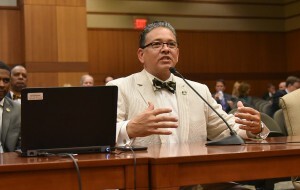 In a special meeting of the Executive Committee, the Board of Supervisors for the University of Louisiana System approved fee changes for its nine universities Friday afternoon. The average increase of less than three percent is the lowest fee increase in a decade for the more than 90,000 students served by the state’s largest system of higher education. Grambling State University and the University of New Orleans chose not to implement fee increases. The remaining seven universities’ increases range from $98 to $212. The ULS changes only apply to fees; tuition costs remain stable across the system. Adarian Williams, GSU’s student government association president, said he is happy to hear that his school won’t be increasing student fees. 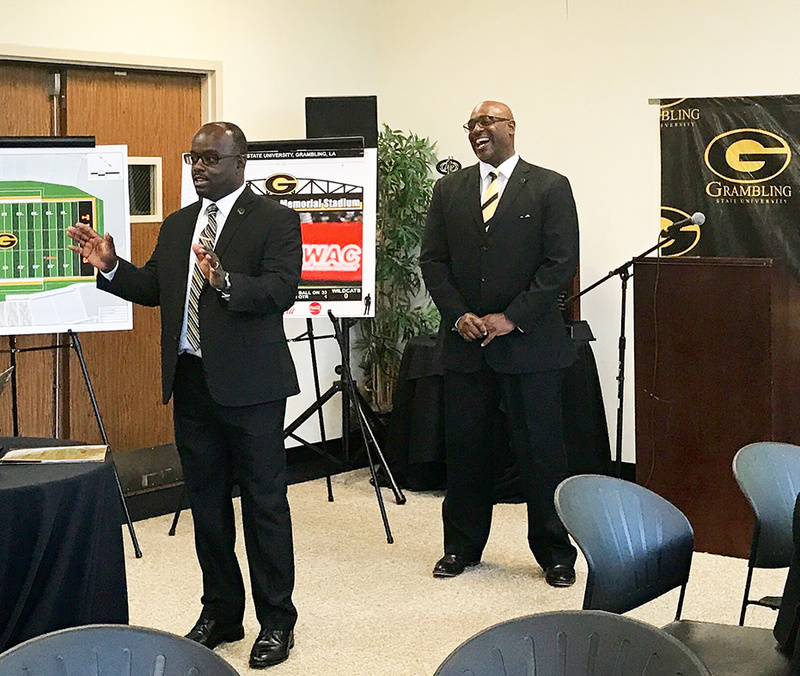 The addition of the new full-color LED Video Display Board at Grambling State University’s Eddie G. Robinson Memorial Stadium presents many new possibilities for advertisers, and a group of business representatives heard about some exciting possibilities during a Thursday presentation. “Our aim is to provide local business with opportunities to invest in the GSU brand while participating in game day activities,” said Marc Newman, vice president of institutional advancement. 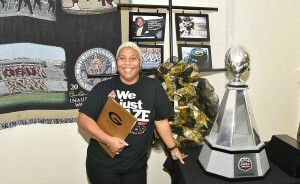 The athletics and advancement departments teamed up to host 35 local business owners to discuss GSU’s economic impact in the region, opportunities for game day digital advertisements to be shown on the video board, turf logo advertisements, game day program ads and business-specific announcements during football, baseball, softball and basketball games. 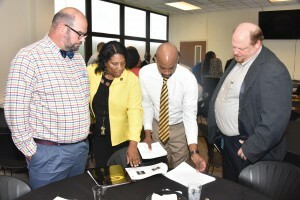 Among those attending were representatives from Bank of Ruston, Ruston Lincoln Parish Convention and Visitors Bureau and the Primary Health Services Center in Grambling. Those attending each received a corporate donor package, watched video examples showing some possibilities and heard Newman and Athletics Director Paul Bryant talk about why they should partner with GSU. Business owners were shown various levels of sponsorship levels and commercial placement spots for pre- and post-game times, as well as in-game play, quarter and halftime sponsorships. Newman said he cannot wait to hear back from those who attended, and others who were not able to attend. 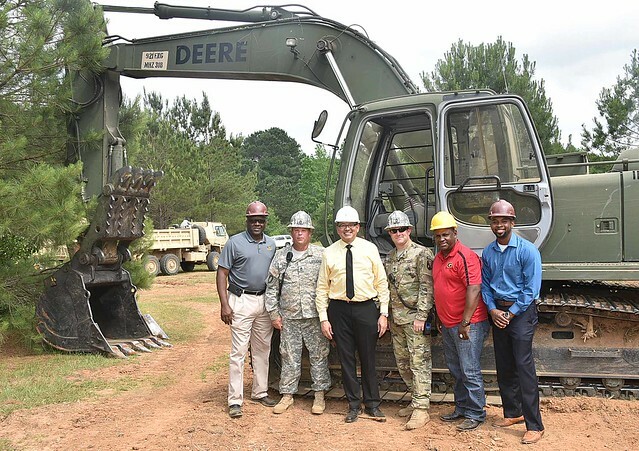 “This is a serious investment for Grambling State University and it’s also a great opportunity for our partners,” he said. 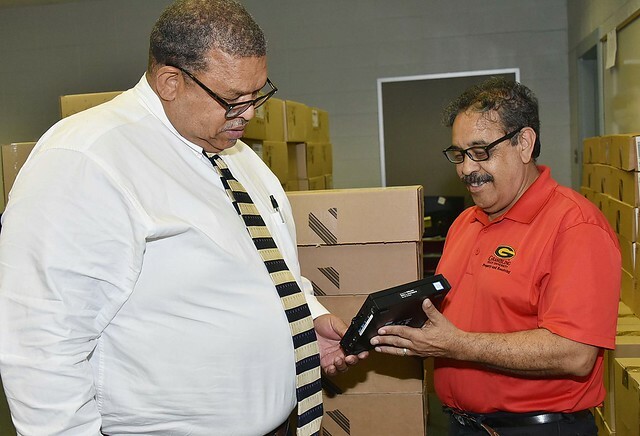 Grambling State University’s College of Business is the proud recipient of a much needed technology upgrade. The COB is currently installing an excess of 100 Dell computers to replace old ones in three labs in the Jacob T. Stewart building. The upgrade was funded by Louisiana’s Workforce and Innovation for a Stronger Economy Fund or WISE fund. The WISE Fund was created in 2014 by the Louisiana Legislature “to provide an incentive for postsecondary educational institutions to increase the production of certificates, diplomas, and degrees in fields of high demand by Louisiana employers, and to spur additional research and innovation as a meaningful way of supporting economic development,” according to the fund’s web site. The computer labs are only available to students of the College of Business’s two STEM majors, accounting and computer information systems. However, all of the students in the college are required to take at least two courses in each. Grambling’s College of Business applied for the funding as a way to help its STEM students remain on the cutting edge of technology. 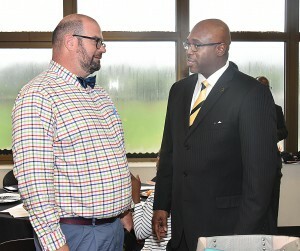 Donald White, interim dean of the College of Business, and Kevin Sly, a computer information systems professor, acknowledge that there is a skills-gap along the I-20 corridor and that the new computers will allow students coming from Grambling to be competitive in the Northern Louisiana job force. Both White and Sly believe it couldn’t be happening at a better time. “We’ve had the old computers for a long long time, said White, they move very slowly and we get a lot of complaints from students and faculty and it was time for a change. This is a God send for us,” said White. The new computers are faster and smaller which helps to cut down on the heat in the labs and reduces the space used. “Our labs will be all new by the fall. 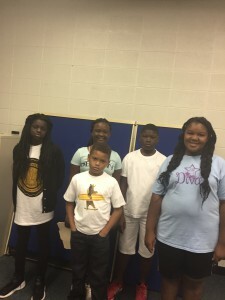 I’m excited for the new students coming in,” added Sly. The computers were not the sole mission for the College of Business but rather a piece in a much larger project. “We just have to get more on the cutting edge. But obviously we need the technology, physical resources, as well as the human capitol to go where we need to go. As far as getting our students ready to participate on a much larger scale we first must train them. In order to train them we need the necessary wherewithal to get that done,” said White. 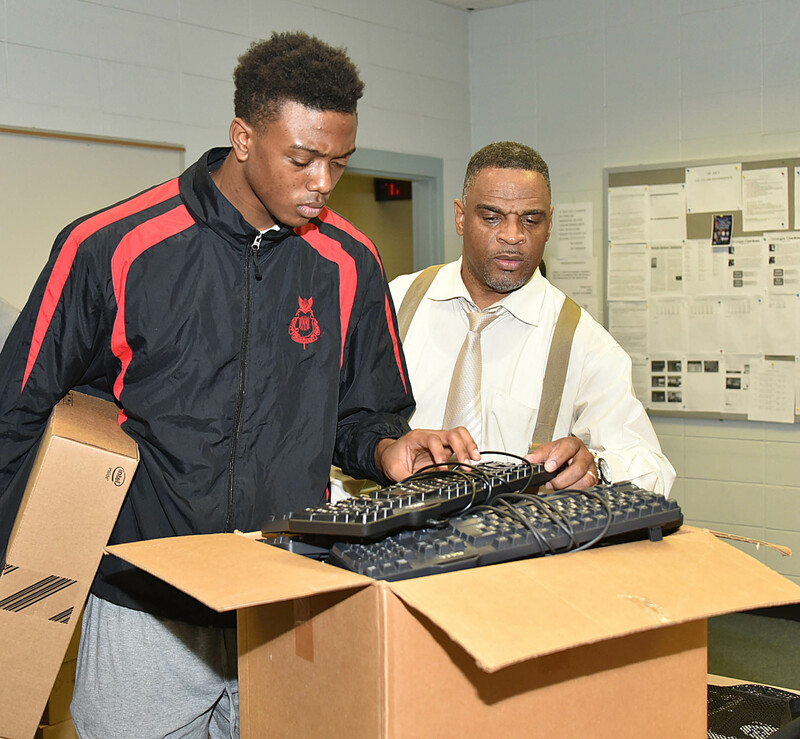 The students are also seeing the benefits of the new computers. The upgrades mean new and better programs for them to master. Marquis Gaydun is a junior majoring in business management and one of the student’s benefiting from the new computers. “Mr. Sly introduced us to Developer, a program that we can use to take normal slides and presentations and make them more dynamic. This entry was posted in Uncategorized on June 21, 2017 by admin. 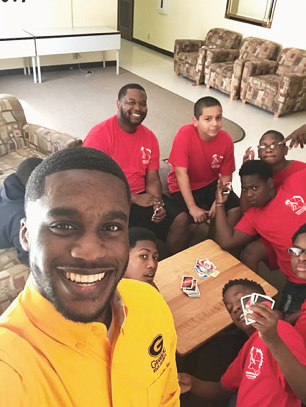 Middle school students from around Louisiana are guests of Grambling State University for a week-long camp that seeks to impart practical academic knowledge and skills in preparation for their college journey. The LA Gear-Up camp is being held under the theme “SOS – Spotlight on STEAM,” and will engage students in science, technology, English, ACT prep and mathematics. 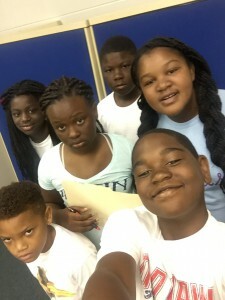 The primary focus of Louisiana Gaining Early Awareness and Readiness for Undergraduate Programs is to “prepare students to be in post-secondary institutions and to succeed there,” said Tireka Cobb, director of Field Outreach Services for LA Gear-Up. Grambling State University’s Meg Brown has been named the 2017 Nurse of the Year by the Eliza Pillars Registered Nurses of Mississippi. Eliza Farish Pillars was the first African American woman to work for the Mississippi department of health in 1926. The nursing organization is noted for health care efforts and helping nurses in Mississippi. “Dr. 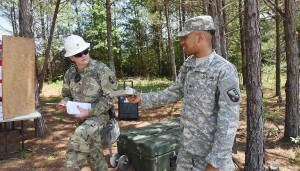 Meg Brown is a born leader who promotes excellence at all levels. We are elated that others have recognized what Grambling State University has known for some time now. 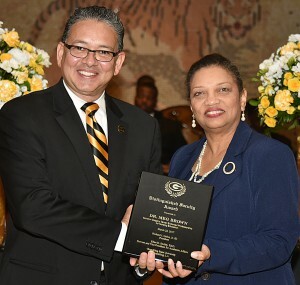 Dr. Meg Brown is an eminent scholar practitioner who continues to makes a unique and substantial impact on society,” says Ellen Smiley, provost and vice president for academic affairs at Grambling State University. Brown is a native of Natchez, Mississippi. She obtained an undergraduate degree in nursing from Alcorn State University, a nursing master’s from Northwestern State University in Louisiana and a Doctorate of Philosophy nursing degree from Southern University and A&M College in Baton Rouge, Louisiana. She has over 35 years of practice as a registered nurse, including 15 years in academia. She has served in several administrative positions in clinical practice and at universities. Brown maintains certification as a board-certified adult health clinical nurse specialist. She is associate dean and an associate professor of nursing at Grambling State. Before becoming a nurse, Brown had plans to be a veterinarian but she couldn’t deal with reptiles. She decided to live her dream as an interior decorator, but an uncle convinced her to become a nurse, assuring her it was her calling. “The decision to become a nurse has been fulfilling and provided me with several career opportunities,” says Brown. She said becoming a great nurse takes skill and dedication. “The consistent usage of caring behaviors — comforting, nonjudgmental, listening, supportive and being unhurried — along with strong clinical reasoning skills” make the difference, says Brown.